Let us create an automated custom MLS search just for you. We have a variety of loan programs for all buyers. Need to sell before you buy? Ask me about our bridge loan program. We will do the work for you! Please take advantage of my free home value form. I will do a detailed market analysis on your home free of charge and will contact you within 24 hours. Selling to buy? Ask about my reduced commission program and bridge loans! Secure approval form to help determine your mortgage options. Rent to own program for folks with credit challenges. Non Traditional Self Employment Loans with a bank statement program. On this real estate site, you can search for 1000s of homes for sale in the Tarrant and Dallas County TX real estate market, while Tom and his team provide relocation, buying facts, selling data, community information, personal attention, and overall market expertise. On my Arlington, Texas real estate site you can customize your searches, find neighborhood descriptions, and read the latest about Arlington and Mansfield, Texas real estate news. I provide insider information on many communities, designed to give you an idea of the local market and MLS listings that only an experienced real estate agent can provide. If you'd like more information, please don't hesitate to contact me. I will answer all of your questions in a timely manner. Call your next real estate agent today at 817-690-9296. Are you looking for Arlington and Mansfield area pool homes, Mansfield TX golf course homes, gated communities or Arlington waterfront homes for sale? Looking for great schools? Check out my Arlington or Mansfield Texas ISD pages for great information. The research of real estate by both Forbes and Money Magazine indicate that Arlington, Texas homes for sale represent one of the best real estate values in the country and the city ranks in the top 10% in the nation for investment quality. The most recent data also states that Arlington, Texas is one of the top relocation cities in the nation. Forbes went on to say that buying is less expensive than renting in certain areas and that Arlington leads the nation in that analysis. Arlington homes have always been consistent in maintaining real estate values over the years. 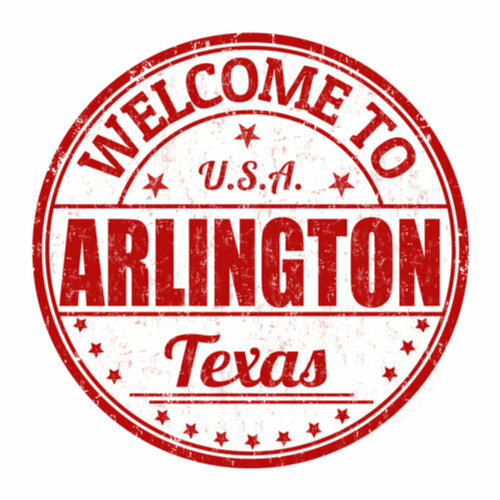 The city of Arlington has many mature neighborhoods that have tree-lined streets and larger lot sizes that you would not find in many urban areas. The downtown is very eclectic in nature and is surrounded by the University of Texas at Arlington giving the central location of the city a college town feeling.The lake area is always a popular spot for home sales and the area is supported by the higher rated High School, Middle and Elementary schools that compliment the location. Arlington itself is labeled a unique super-suburb with a workforce of more than two million people within a 25-mile radius, a condition that creates plenty of demand for homes and a strong future outlook for buyers and sellers. What is the average price for an Arlington Texas home for sale? Try $151,975, well below the national average of $253,950. The city is also the home of the Texas Rangers, Dallas Cowboys and Six Flags over Texas. Mansfield, Texas is a bedroom community located just 20 minutes south of Fort Worth and a short 35-minute drive to Dallas. Joe Pool Lake is only minutes from the city and provides excellent facilities for fishing and water sports. An outstanding quality of life exists in Mansfield with predominant home construction revolving around newer single-family residences with parks, trails, lakes, and golf courses galore! Mansfield, TX ISD Schools are award-winning and make for a popular choice for families. The city is a bedroom community of Fort Worth and when you research homes for sale in the area two facts are prevalent. Mansfield homes are selling at a phenomenal pace at an average of 70 days on the market. Real estate in Mansfield is currently appreciating at a rate of 5% a year. Combine that with organized sports activities and a growing and new infrastructure and you can see why Mansfield, TX real estate is a slice of heaven on earth. Buying conditions and mortgage rates have never been better if you are looking for Mansfield, Texas homes for sale. I welcome the opportunity to speak with you in detail about becoming your next Real Estate Agent. The city was just recently named 24th in the top 50 places to call home in the United States by Money Magazine. MCH model for sale in gated South Pointe, specialty ceilings, exquisite trim work, hand texture, gorgeous lighting, 4-4.1-3 with 2 fireplaces, outdoor kitchen. Gorgeouse details throughout. A floor plan you cannot beat! Arbors of Creekwood is one of the most sought after subdivision in Mansfield and this home is located in the rear gated area surrounded by many beautiful custom homes. Gr3at floor plan with Master and one other bedroom down. Two bedrooms and a game room up. Downstairs includes living room, family room and study. Large kitchen with huge island and lots of counter and cabinet space. Covered porch and large patio for entertaining. Heavily treed lot. Gorgeous Inside! A Luxury home in a gated community surrounded with hills, close to restaurants, shopping and entertainment! Prime location in Arlington with the rangers and cowboys stadium only 6 miles away. The craftsmanship of this custom built home will leave you breath taken. A open floor plan with Master down, 2 bedrooms up with Media and living room up. Space is abundant, you will admire the half barrel ceiling in the master nightly! 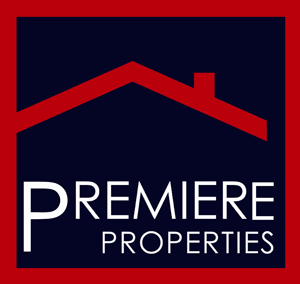 I am the Broker/Owner of Premiere Properties PLLC. Prior to this endeavor I was a Realtor and Broker with Re/Max Associates of Arlington and Mansfield Texas. My company made the top 500 for Re/Max the last 15 years in a row. I have an MBA from Georgia State University and have been assisting buyers and sellers with all of their real estate and mortgage needs for 25 years. In the last 10 years alone I have closed over 300,000,000.00 in Real Estate transactions for my clients.I also own and operate Mortgage Specialists L.L.C. and have done so for the past 25 years. My clients get appropriate advice on both sides of the real estate transaction. In a very detailed and difficult real estate climate I will provide you with all of the information that you should demand and require to make all of your real estate decisions. I don't think I could have found a better agent than Tom Brewer! I highly recommend him to you and others. We now have the perfect house that fits our needs. Great Experience! Tom made my house buying process go really smooth. He's a straight shooter and says things how they are without the fluff which I appreciate. He really knows this market.